This is Mister Doodle’s world. It’s different as can be. Come along and help explore his world from A to Z. You should know from the start, that Mister Doodle is quite smart. C is for City, this much is true. But can you see another clue? What else is there that starts with C? A car of course--you must agree! Keep this in mind, open your eyes, for on every page there's another surprise! A is for Art. B is for Bone. C is for City, like New York or Rome. D is for Dump Truck. E is for Envelope. F is for Food, like French toast or cantaloupe. 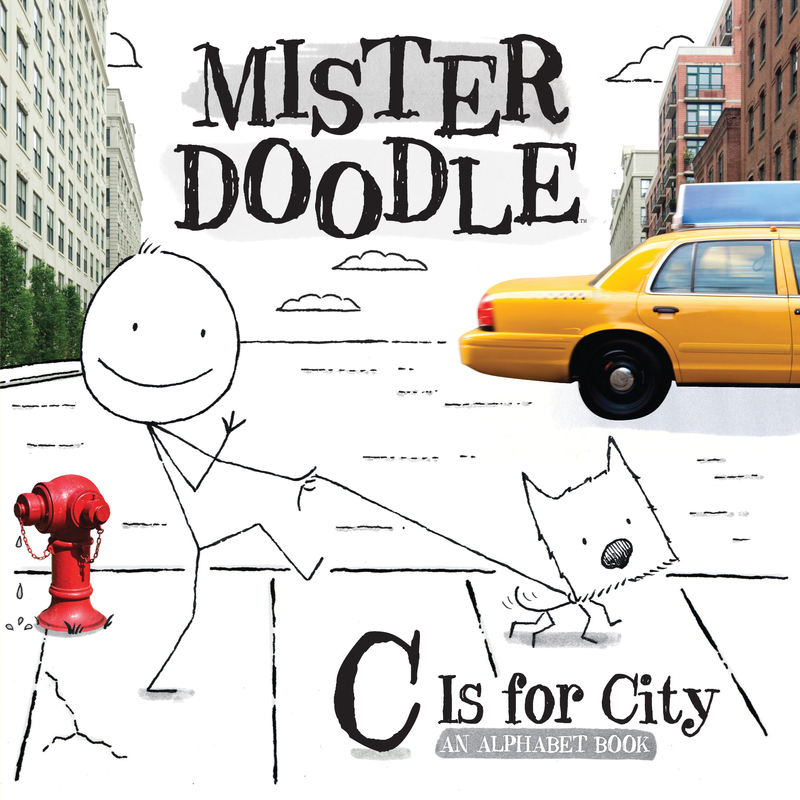 Mister Doodle's C Is for City features a unique art style: a mixture of black line art and photography for an adorable look that's fresh and creative! Children will be entertained and amused while learning their ABCs with the stick-figured Mister Doodle!